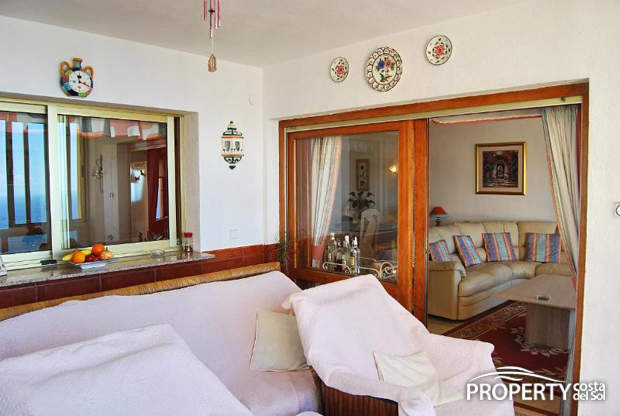 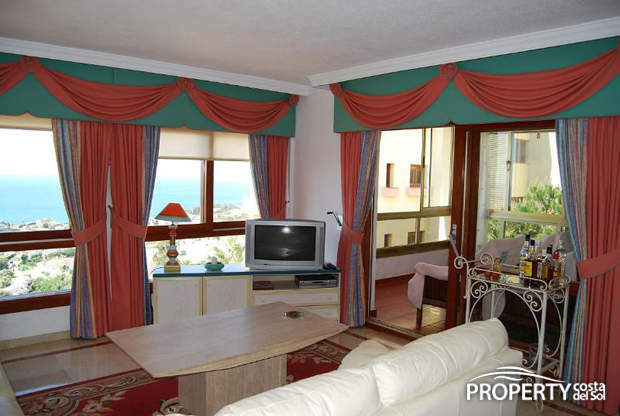 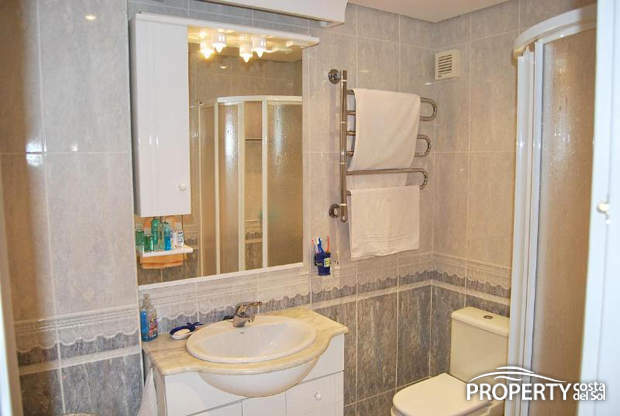 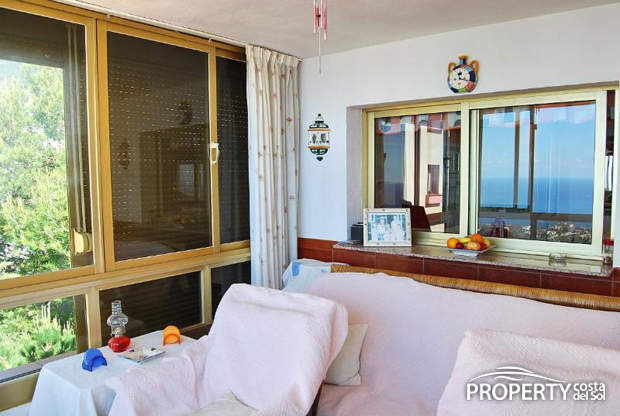 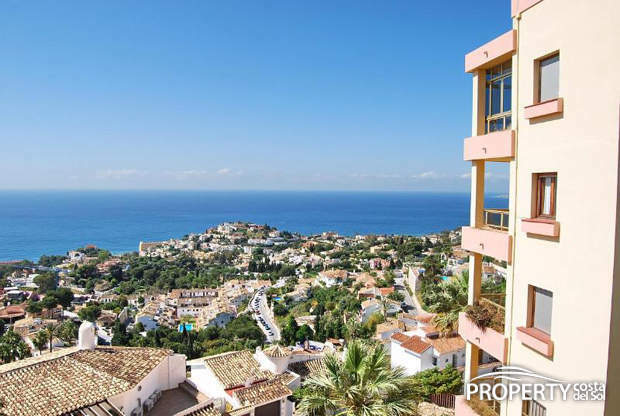 Large spacious top apartment with a magnificent view of the Mediterranean Sea, the coastline to Fuengirola, located in Torremuelle on the Costa del Sol. 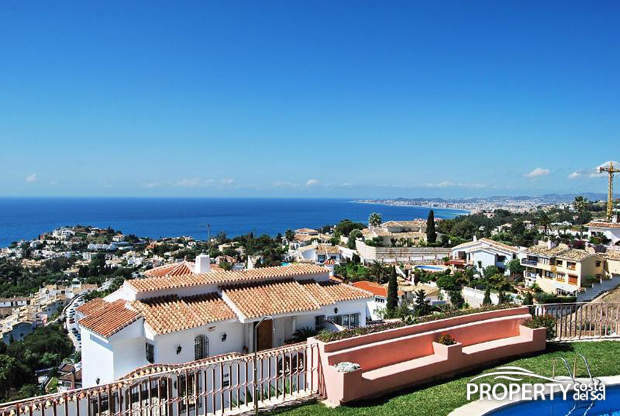 It is tastefully decorated and have a private 20 m2 large terrace and also access to a huge top terrace of over 100 m2, with 360-degree view. 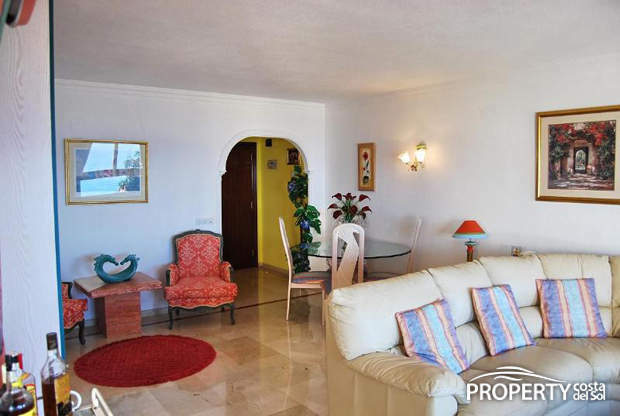 The lounge is spacious and has a dining section at one end. 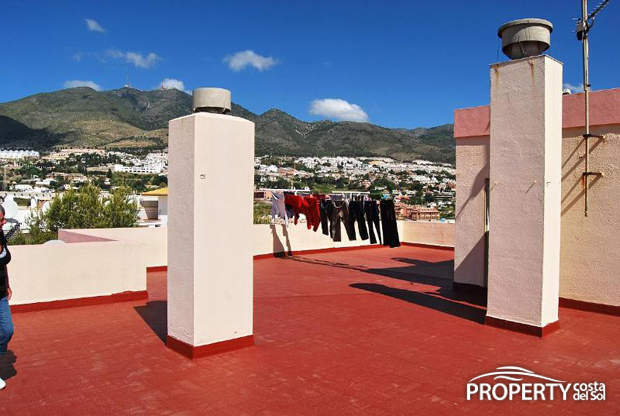 There is output for a 20 m2 large terrace that is now closed but which can easily be opened up again. 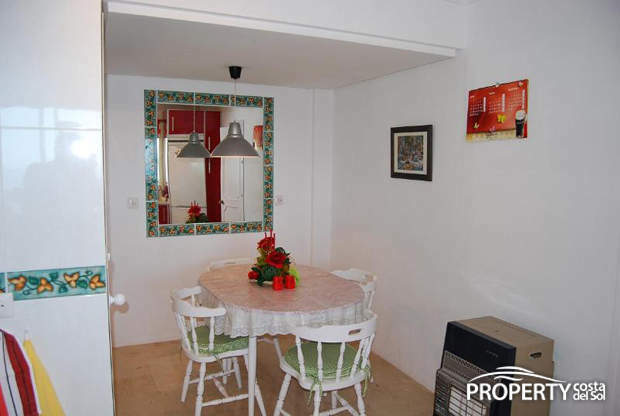 The kitchen is large, like all rooms in this apartment, and has a large table hook for 4 persons. 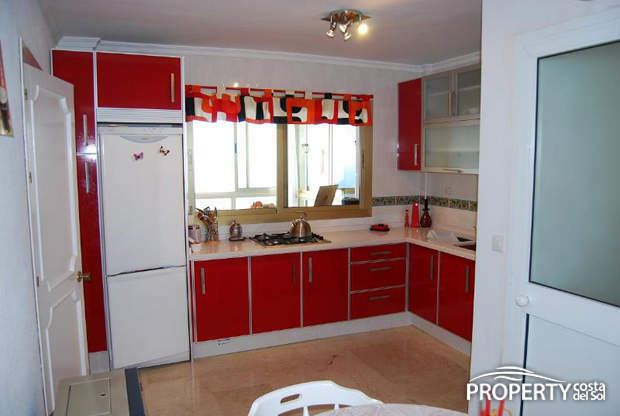 The kitchen is only 2 years old and comes with all white and is extremely presentable. 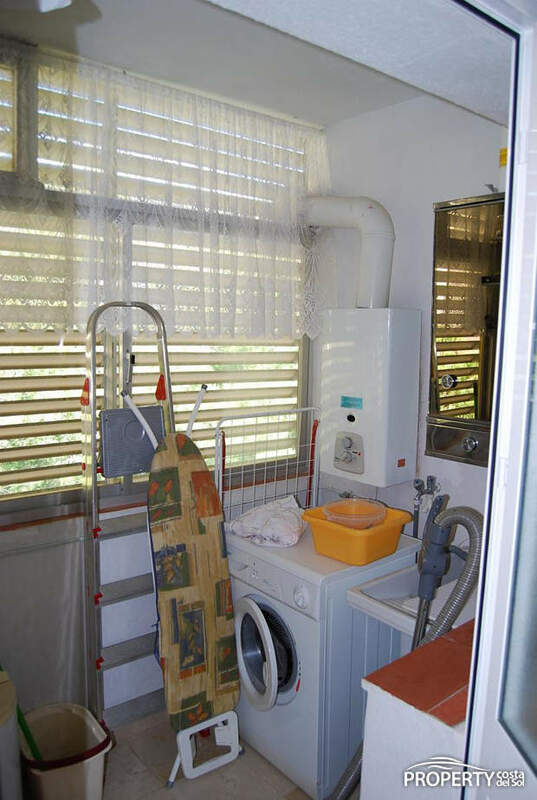 There is a utility room next to the kitchen. 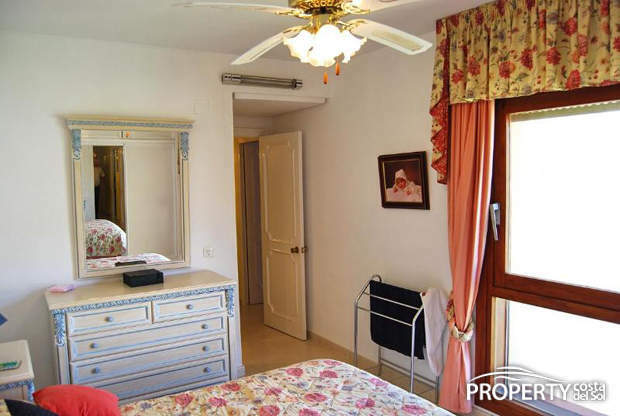 There are 3 good sized bedrooms and all of them have built-in wardrobes and a wonderful view to the mountains. 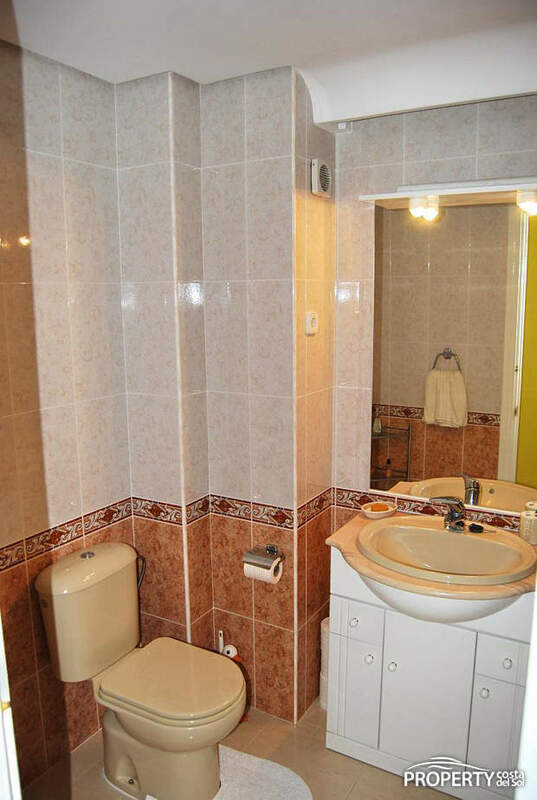 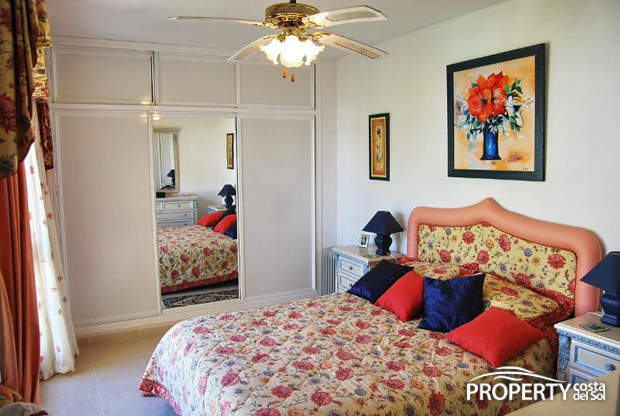 The master bedroom has its own bathroom. 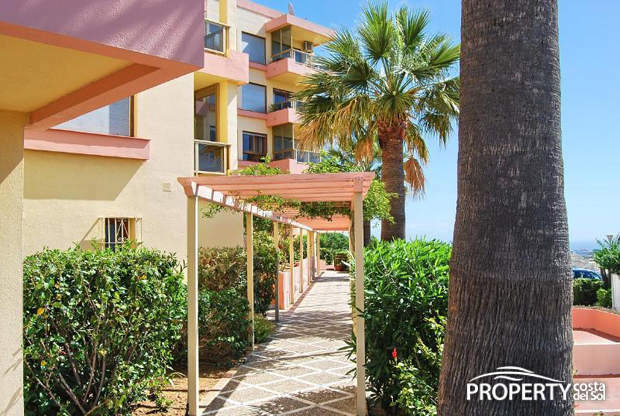 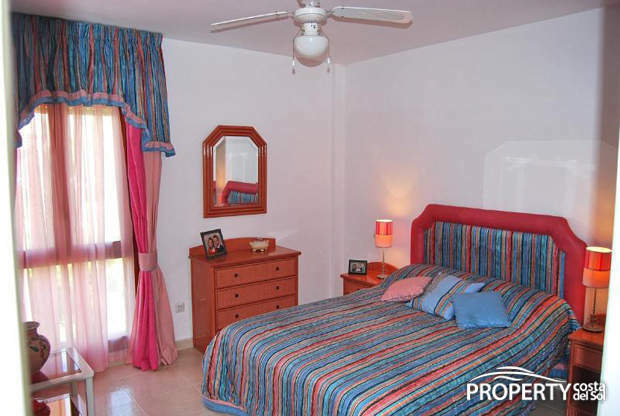 This top apartment located at the end of a cul-de-sac at the top of Torremuelle with beautiful views and has a small shared garden and swimmingpool. 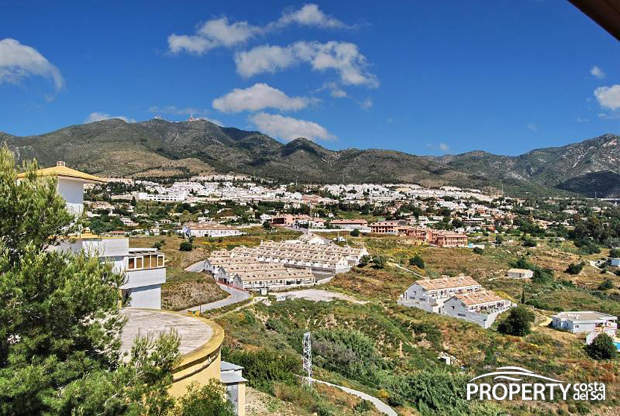 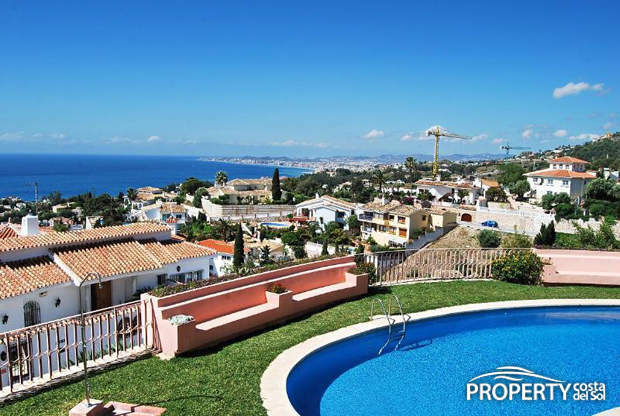 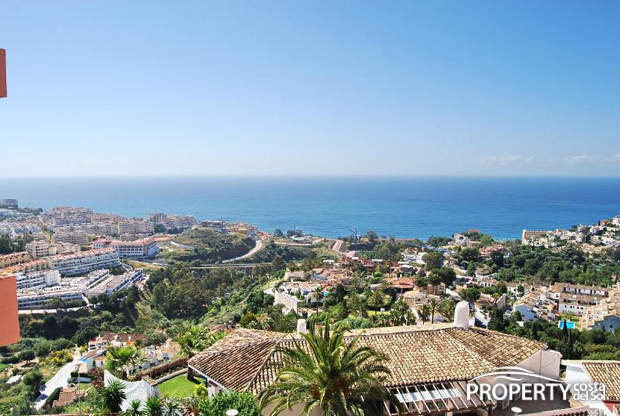 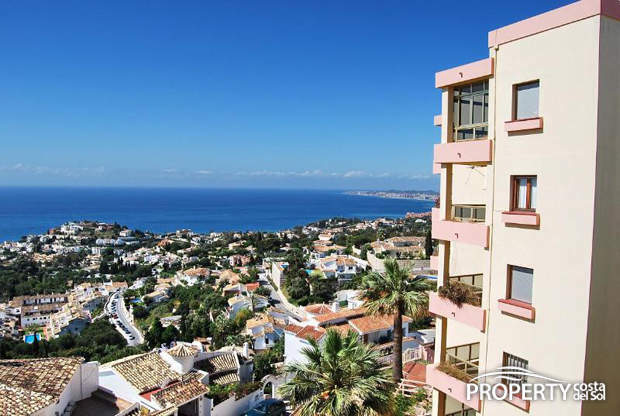 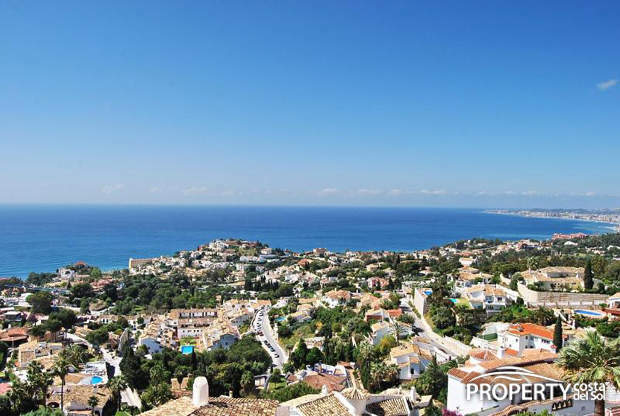 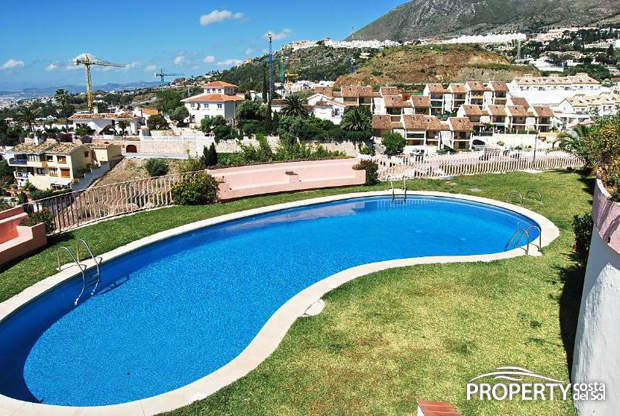 One floor up from this apartment is a large common roof terrace where the sun can be enjoyed throughout the day with an impressive view of the coastline and surrounding mountains. 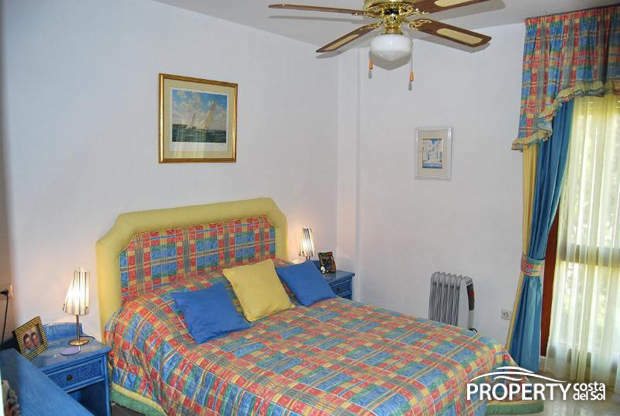 There is parking for the dwelling and there are several other parking options for guests. 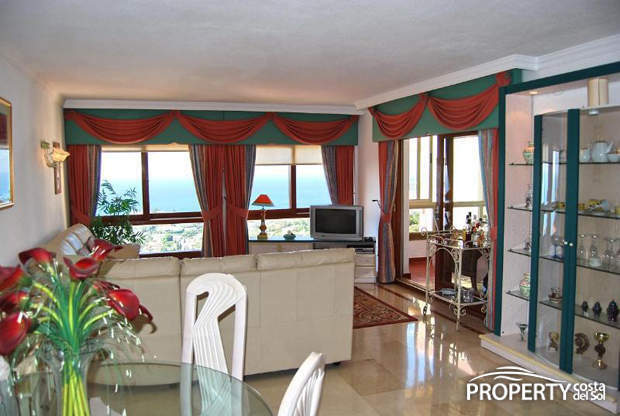 Peaceful surroundings only 5 minutes drive from the coast, restaurants, shopping etc. 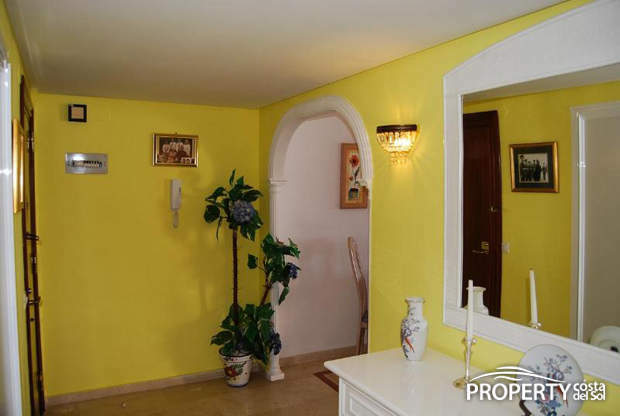 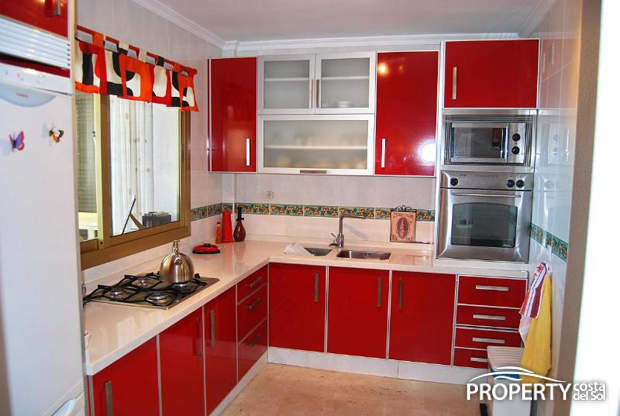 Yes, please send more information about this property with ref.no: 493.